Rightclick the game while its loading, playing or anything but erroring and click "Open Save Data Folder"
Now double click on the 'data' folder and make a folder inside of it called "audio"
will change the sonic 3 title song the the file named "bgm_title.ogg" in the audio folder. Looping your music can be difficult if you aren't sure what you're meant to do, but let's go through it. 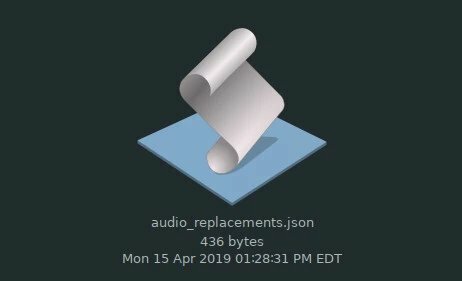 Bring your music track back into Audacity. What you want to do is find the point where the music jumps back to a previous point, or if it doesn't naturally a point where it can. Example. This point in the song is where the goes back. Delete everything from this point onwards. No point having extra. Now that we've got the end of the loop, we need to go to the start. This is where everything extra you just deleted is played for the first time. In our example case, here. Select the exact point. At the bottom of Audacity, you see the current time. Click the selector, and choose samples. Keep note of this number. Now, export the song as stated above. So now you have completed your mod and you want to play with it ingame, well thats easy just boot up the game and hope you did not mess up any of the code, If you need help feel free to ask in the comments, Have fun modding the game! You might want to mention loops and how you can right click the program to open a pop-up to go to the folder.